It’s that time of the year again in Charleston—festival season. Week after week, there’s new activity happening in Marion Square. Except this year that does not include Lexus Charleston Fashion Week. 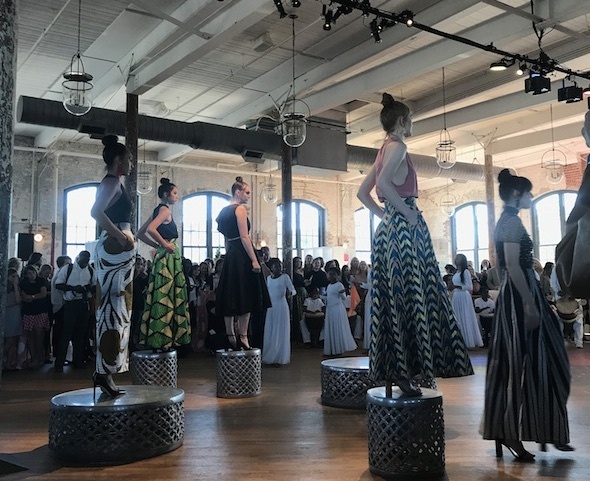 In its 13th year, Charleston Fashion Week made a strategic decision to reformat for 2019. Instead of a week-long series of runway shows, CFW is opting for four events over the course of the year, each focusing on a different type of fashion experience. CFW is unique. Unlike other fashion weeks, CFW is an accessible lens into the fashion industry. 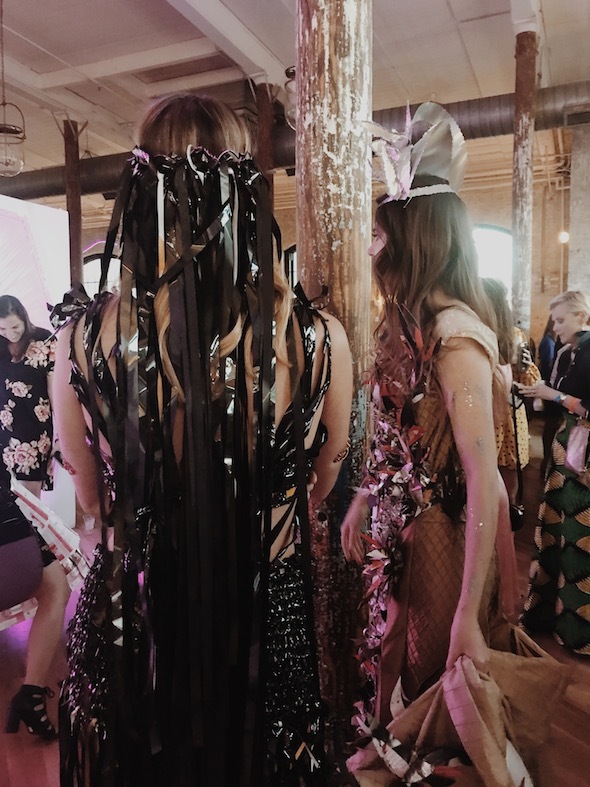 It celebrates local designers while bringing in nationally acclaimed designers to Charleston, and these events will help create even more access and oppertunity for the ever-changing fashion industry. 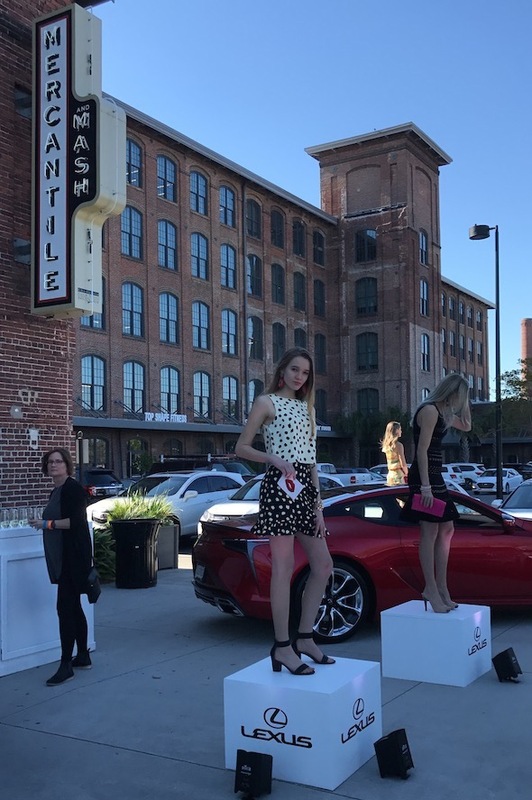 For the first of the four events, the focus was on a “celebration of style” highlighting three designer presentations and curated pop-up shops in The Cedar Room at The Cigar Factory. Having the first event focus on three diverse designer presentations feels like a smart move for CFW. Departing from the runway, the presentation is industry forward, allowing for a more intimate and curated showcase, altering how people experience fashion. Next up was Opera Recycles, presented by Opera Carolina from Charlotte, NC. Part of Opera Recycles design process involves taking playbills into material used to create each highly intricate and detailed garment. Their mission focuses on repurposing printed marketing materials into a creative and environmentally minded art form. 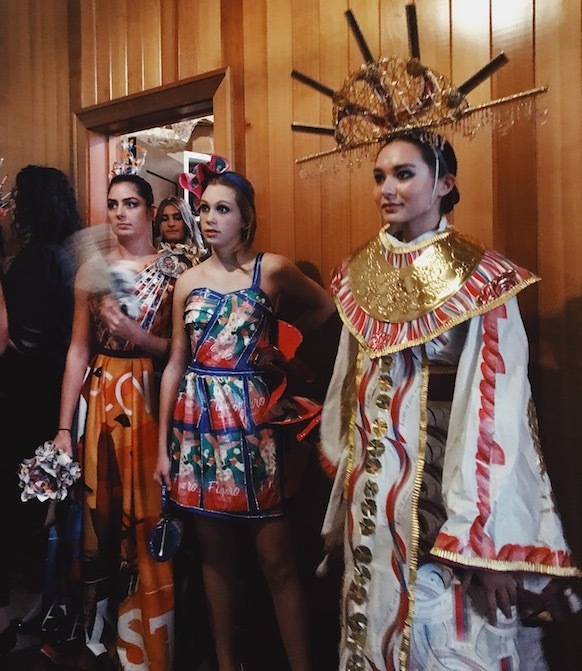 Comprised of nine designers, their clothing is diverse, with many specific cultural influences from Egyptian patterns to 18th-century French courtier, and were shown along with performances from Xela Pinkerton and Jonathan White from the opera house. Debuting for the first time in the U.S, this specific collection most recently was at Paris Fashion Week this month. For the finale, CFW had the pleasure of welcoming Hunter Bell NYC back to Charleston. A past featured designer and judge of the emerging designer competition, Hunter Bell is no stranger to the South. Hailing from South Carolina, she went on to gain experience working in New York before heading to Houston, TX, where she is currently based. 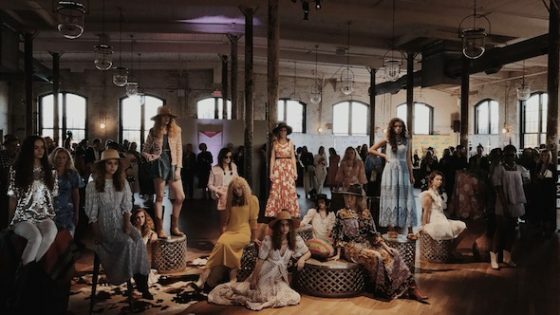 Her women’s ready-to-wear pre-fall collection played up a Southern aesthetic, featuring brightly colored sundresses, feminine tops, cowboy boots, and bare feet to the tune of the Pluff Mud String Band playing in the background. The remaining three CFW events will be a women’s fashion event at Memminger Auditorium on June 14, 2019, the finale men’s fashion event at South Carolina Society Hall on September 12, 2019, and a holiday shopping event in November 2019. Posted on March 25, 2019 by Matt Mill.